How's it going everybody! Today's post is all about an app I recently discovered called Sift. With my great credit...yeah I'm braggin' a bit here...I get all of these solicitations in the mail to apply for these super credit cards. Well, at least that's what they make themselves out to be. Tell me what credit cards you own and I'll tell you who you are. That should be a saying or something. Anyhow, I can read what these credit card companies say in their letter, and even go onto their websites and learn more, but I always feel like I don't get the full picture. I'm a leery credit card consumer, which explains why I haven't opened up a new one in many years. Do you mistrust credit card company prepared public information? As you should! But now you may not have to. 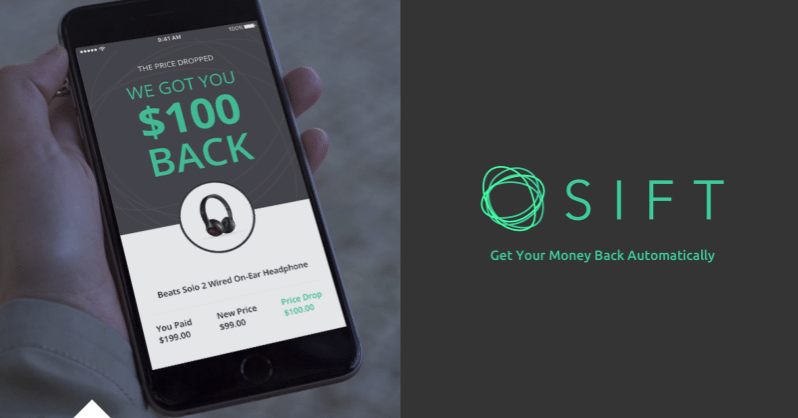 You see Sift wallet will do you a serious favor and go through all of that fine print for you. The legalese is incredibly difficult to read through. I'd rather get a root canal to tell you the truth. 1. It will unearth credit card benefits you may not have been aware of like...Travel protection, access to airport lounges, or FREE roadside assistance! Hey now! All you have to do is type in the credit card name (no account number needed at this point) and you'll get a quick rundown on any card's perks. 2. It may be able to help you recoup the cost of a missed flight. For you frequent flyers out there, a delay can be costly. If you miss your flight you may be out of luck. Sift may be able to help you. 3. Shoppers. Sift has something for you too. When you enter the email address where all your receipts go (sometimes to die without a further look), the app will analyze your purchases and let you know when that pesky return window is about to expire. If the price of those new kicks drops, Sift will alert you! Pretty clever, huh? Your claims will be facilitated with Sift (automatically). You'll know about any extended warranty coverage. Sift also supports things like return, theft, and damage protection. I personally love the price protection. I hate buying something only to discover it went down in price a few days later. For more info on Sift, including start-up info, go here: Crunchbase.com. This is NOT a sponsored post (wish it was though $$$). Just plain ol' sharing of info for my money conscious peeps. Hasta la vista, baby!